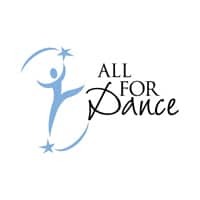 All for Dance opened it’s doors in 2004 with a goal of providing a positive, friendly studio for all students to enjoy all that dance has to offer. We are committed to providing an environment that instills confidence, teaches respect and values differences. All for Dance strives to provide excellent customer service and a studio environment that is age appropriate and family oriented. Classes are offered in many styles and ages ranging from 2 through adults.